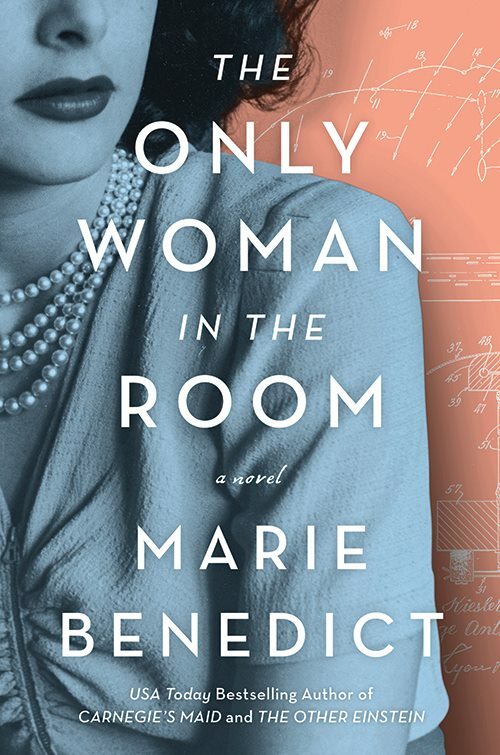 Book Review: ‘The Only Woman In the Room’ – Marie Benedict – Ouch That Hertz! There is something to be said for the convention of the curtain of the theatre. Untold stories are held at anticipatory bay; moving developments in character are delicately placated within each fold and ripple of the fabric. Engagement is quite literally revealed at the slightest touch and tug- all we need do is simply extend a hand. Such is the art of Marie Benedict’s new novel The Only Woman In the Room, which depicts the trials and tribulations of the Jewish Austrian actress Hedwig Keisler (better known in Hollywood as Hedy Lamarr) in a perilous precursory to Hitler’s rise to power and the forthcoming assault on humanism in Europe. In keeping true to her subject’s profession, Benedict is no stranger to the art of the curtain, as her keen sense of the mechanism transpires lavishly in her portrayal of a refugee’s quest. Tracing her early years, the author makes deft emotional appeal to the craftsmanship behind the actress, the taunting horrors that she witnessed, and the sordid traumas inflicted on the reinvention of character. Pingback: Energy Cycle Edge [Sometimes You] – Ouch That Hertz!